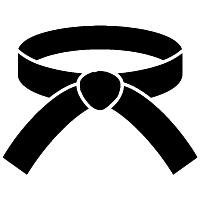 The Chito-Ryu Black Belt Course is an in-depth program designed to lead students through the early black belt levels (Shodan – Yondan). In this course, you will be guided through a series of lessons, challenges and training routines to teach you everything you need to know to work your way through each of the black belt levels up to 4th Dan in the Chito-Ryu style of Karate-Do. The primary goal of the course will be to help students prepare for gradings through the early black belt levels of Chito-Ryu Karate-Do. In order to achieve this, there will also be sample grading routines, plus commentaries from master instructors to help guide you along the way. The course will be primarily delivered via video lessons, but there will also be audio and written lessons too, plus opportunities to interact with other course participants and the course instructors. It is designed not only for students of Chito-Ryu Karate-Do, but also dojo leaders and instructors too. As you continue to come back to the E-Dojo and revisit this course again and again over time, it will continually be updated and refined with new content on an ongoing basis. Additionally, as all of the course participants work their way through the lessons there are bound to be a lot of questions. As each question is received, we’ll add more to the course and continue to refine the resources and lessons for everyone to enjoy. 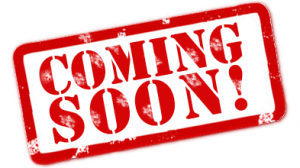 If you’d like to be notified when upcoming courses such as the one above are going to be opened up for registrations, please enter your details in the form below.